Classic stories, merry musicals and avant-garde performances draw New Yorkers together to celebrate the season and its diverse holiday traditions. The New York City Master Chorale kicks off Christmas caroling with a performance of Bach’s Magnificat on Friday, while Ice Theatre of New York hosts a free holiday skating show at Riverbank State Park on Saturday. Click through for more holiday events! 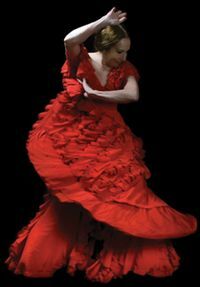 This is the 39th and final season of Pilar Rioja’s flamenco dance programs at Repertorio Español in Gramercy. The Queen of Spanish Dance is an idolized dancer, renowned teacher and inspiration to artists worldwide. Don’t miss this last chance to be enchanted by her artistry, skill and soulful passion as she bids farewell to the stage. The original hand-drawn map of New York City’s streets and avenues is featured in The Greatest Grid: The Master Plan of Manhattan, 1811-2011, an exhibit celebrating the 200th anniversary of the Commissioners’ Plan of 1811, which established Manhattan’s famous street grid. Other rare historic maps, photos and prints trace the enduring influence of the 1811 plan as the grid became a defining feature of the city. 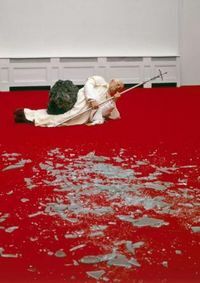 Hailed as a provocateur, prankster and tragic poet, Maurizio Cattelan has used everything from Pope John Paul II to swordfish heads in his sculptural works. Referencing his retrospective show at the Guggenheim, art scholars discuss realism in contemporary art, focusing on verisimilitude as a central aesthetic and conceptual strategy in Cattelan’s art. 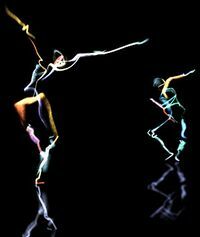 No one has cast a longer shadow than Merce Cunningham in contemporary dance. His seven decades-long career established a bold repertoire as beloved as it was immensely influential. The Legacy Tour is one of the last chances to see his works performed by the Merce Cunningham Dance Company before the group disbands this month. Don’t miss Executive Director Trevor Carlson reflect on past performances, dancers and the choreographer at the Iconic Artist Talk on December 8. Give the Gift of Culture at one of hundreds of cultural institutions this holiday season. Follow @NYCARTS on Twitter or #GiveCulture for specific gift ideas, such as classes in art or ballet; designer wares, books and souvenirs; memberships or subscriptions that let a loved one enjoy New York all year long.